Pre-fabricated reinforcement cages have been delivered to site and fixing has commenced. The first concrete pour of the ground beams and pile caps will commence during w/c 18th June 2018. Associated drainage will also be completed in conjunction with the pile caps and ground beams. Some minor alteration and adaptations have been completed to the existing building, although no significant new work is forecast until the delivery of the internal mezzanine steelwork, which has been ordered. 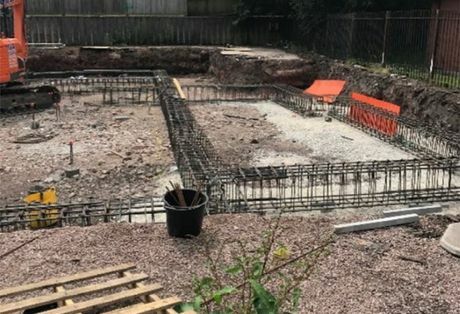 For more information on construction on Orme House email enquiries@hopwoodhouse.com or call +44 (0) 161 337 3890 to speak to a member of the consultancy team.